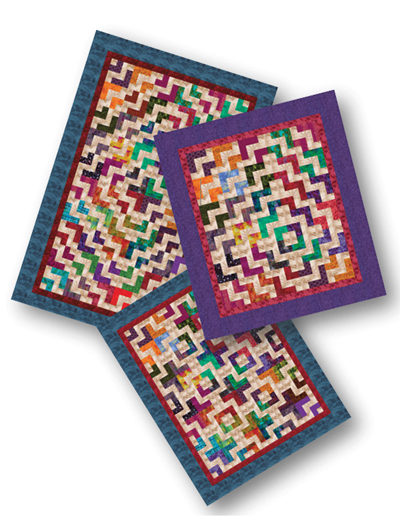 This pattern allows for a multitude of design options using a versatile single block made of 2 1/2" strips or scraps. You will love the many options you have! 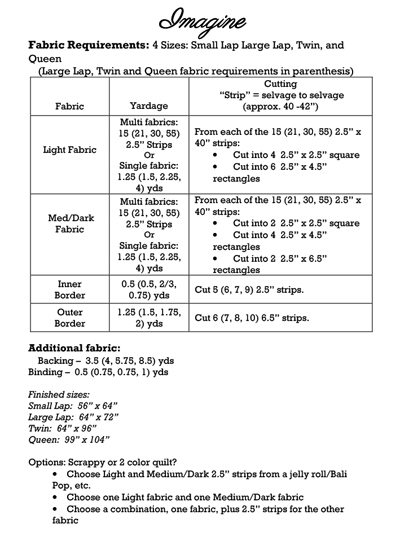 Small Lap Throw: 56" x 64"
Large Lap Throw: 64" x 72"